I started 2010 by looking at my investments, as I prepared material for the upcoming tax season. It has been a rocky year, with last December’s investments at the bottom of the chart, then slowly rising back up. The global economy has followed this same market path in coming out of the worst recession in decades — slowly — and those who held in with good, diverse investments are gradually seeing rewards. Looking at individual stocks in the electronics sector, companies are reporting encouraging quarterly results. Intel recently declared quarterly cash dividend of 15.5 cents per share on the company’s common stock, reflecting the previously announced 12.5% increase from the fourth quarter of 2009. Intel's fourth-quarter net income was at $2.3 billion, up 875%. Rival AMD reported fourth quarter and annual results in January 2010 as well, announcing revenue for the fourth quarter of 2009 of $1.646 billion, an increase of 18% compared to the previous quarter and 42% compared to the fourth quarter of 2008. AMD has transitioned to a fabless business model and has reached an antitrust settlement with Intel, both of which affected the bottom line. There are markets that I expected to see grow quickly, such as the E-book reader — the ultimate Christmas gift this year. According to the Boston-based Yankee Group, the E-book reader market will spark $2.5 billion in revenue by 2013. This segment is still catching fire. I never noticed much when nieces and nephews started going to 3D movies, thinking that it was just an expensive new way to hook children on a new trend. Now that I’ve seen Avatar, it’s easy to understand that this area can affect other areas. 3D movie technology is making its way into the home, opening up 3D TV for consumers, demonstrated this year at the Consumer Electronics Show (CES). 3D cameras are now being actively field-tested for use in TV production. The only problem I had with Avatar was that the movie plot seemed to imply that technology development represents “the bad guys.” Since Avatar uses state-of-the art electronics for computer-generated 3D images, yet condemns technology as a threat to the environment, the theme is a bit contradictory. Electronics manufacturers are very aware preserving nature, generally through materials restrictions on the industry. From lead-free solder to the elimination of halogenated materials, to using less of raw materials (the Occam process is one example), the electronics industry has certainly become one that is more compatible with the natural world. Because of Avatar’s award-winning popularity, other 3D movies and 3D TV will certainly be contributing to the health of our economy. Is Solar Cell Production A Viable Business Venture for PCB Fabs? If you’re a PCB manufacturer hoping to jump into the high-growth photovoltaics manufacturing industry, there’s good news and bad news. The good news, according to Don Cullen, managing director of photovoltaics at MacDermid, is that photovoltaic cells, especially once assembled into a module, are heavy and fragile. This means that they benefit from geographic pairing, where the assembler and customer are in the same region and shipping is minimized. Solar cell assembly is also a highly automated in-line process, so labor costs are minimal. The bad news? Despite similar processes such as chemical etch and electroplating, circuit board fabricators will likely need to re-tool from the ground up to convert to solar cell manufacturing. Cullen spoke to a joint meeting of IMAPS, SMTA, and ACerS in Boston. He outlined several areas for improvement in solar cell manufacturing and highlighted three in particular — the screen printing, conductor metallization, and imaging processes — where PCB fabrication expertise is welcome. Silicon solar cells are made from thin wafers with screen printed silver paste conductors, and the force of screen printing can lead to breakage. Printed paste covers 7% of the average cell, shadowing areas that could be absorbing light. Compare that to electroplated nickel and copper where shadowing is less than half than 7%. Also, the silver conductor paste is both expensive and difficult to work with; opens are a problem. Right now, about 90% of solar cells are screen printed, said Cullen, who calls solar cell manufacturing an “inelegant process, compared to circuit board and semiconductor manufacturing.” Some methods to improve screen printing include electroplating silver on top of a narrow conductor path, augmenting it. Other technologies call for an electroless bath to embed silver into the nooks and voids of the sintered silver paste. Plated metal conductors of all sorts are also in early stages of implementation. Metallization expertise is needed, as various combinations of silver/nickel and copper layers are still under development. Plating can create a 40-µm-pitch conductor, whereas screen printed conductors are 120 µm wide. The decision to manufacture with screen printing or with a different metallization system impacts costs. The capital equipment investment for metallization technologies is steep; however, it eliminates the waste (breakage), consumables cost (silver paste), and efficiency problems (shadowing, wide conductors) of screen printing. Factor in the huge scale of solar cell throughput, and the equipment costs aren’t terribly overwhelming. Electronics manufacturing is a mature market, as Cullen noted, but it is built on solid expertise, automation, and cost-sensitivity. It experiences about 5% annual growth. The solar energy sector sees roughly 40% growth annually, with solar technologies persevering through the recession. Right now, capacity outpacing demand, as new entrants are getting poised to produce 2012 demand. The 3 gigawatts of excess production drives retail costs down, increasing demand, leading to extra capacity. This is all typical of a fast-growing industry. Is there profit to be made in solar cell manufacturing? Make-where-you-use means PV manufacturing could become a major industry in the U.S. and other developed nations. Module prices are falling, Cullen reports, but this is mainly due to a drop in the price of silicon and other raw materials, so PV maker’s profits remain intact. There is room for cost reduction in PV manufacturing, Cullen adds. Profitability looks more sustainable in solar than ever before. Challenges for entry into the photovoltaics manufacturing field will come from the investment side, as capital is harder to obtain during this recession. Cullen compares the growth rate of PV to that of semiconductor manufacturing from 1981 to 1994. The PV growth predictions from analysts mirror this historic growth path of semi. Different solar applications require different manufacturing processes and emphasis, so consider niches such as space applications or military applications in solar. While experience in military PCB manufacturing may not translate directly process-to-process for military solar panels, an understanding of the use environment, reliability expectations, and mobility requirements will prove valuable. Similarly, if you are accustomed to manufacturing high-volume, thin, consumer-product PCBs, this knowledge can be ported to solar cell manufacturing with low cost/cell and minimal waste. To covert from circuit board manufacturing to solar cell production (or extend your electronics business into the solar sector), you need capital, guidance from experts in the solar field, a strategic plan for implementing solar production, and possible partnerships in the sector. Don Cullen is the managing director of photovoltaics at MacDermid (Waterbury, CT). His group is responsible for interacting with the worldwide photovoltaic manufacturing supply chain to ensure the correct development, deployment, and use of chemical processes. The Photovoltaics Solutions division was formed from MacDermid’s New Business Opportunities review team in 2008. Cullen previously served as director of OEM & assembly applications within the Electronics Solutions business. He acted as a liaison between the OEM sector, PCB manufacturers, EMS providers, and MacDermid’s Electronics Solutions worldwide business. Cullen helped found the Final Finishes group in MacDermid Electronics Solutions, which includes nickel/gold, silver, tin, OSP, and palladium processes for PCB technology. He holds three patents, and authored the latest edition of Coombs’ PCB Handbook chapter on Surface Finishes, among over 100 other publications and industry papers. Cullen holds a degree in chemistry from Rensselaer Polytechnic Institute (RPI). 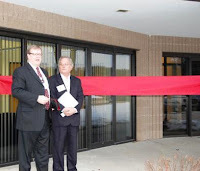 (January 15, 2010) NASHUA, NH — Renton, WA-based Microscan opened its Northeast Technical Center in Nashua yesterday. The company provides technology and hardware for data acquisition and control, including machine vision and go/no-go inspection applications. Microscan acquired the Machine Vision business of Siemens in late 2008, gaining a 20,000 sq. ft. facility in Nashua, NH. This Technology Center now includes a product demonstration room, engineering labs, training space for customers and distributors, as well as offices. Microscan president Jeff Timms notes that the electronics industry will be one of their top three end-use sectors, where Microscan’s vision systems can be used to improve incoming inventory management, tracking and traceability, inspection, and counterfeit prevention. The Nashua, NH facility will be used for R&D on machine vision, machine vision lighting, direct part mark (DPM) reading, and verification technologies. The company currently holds 85 patents, with 30 more pending. Its Northeast Technology Center will have four PhDs on staff. The East Coast location was dedicated by Vision Systems Design editor Andy Wilson (seen at left with Timms), who referenced the region’s long history with machine vision innovation, welcoming another chapter in this technology evolution. Timms echoed this sentiment, stating that talented employees have been continuously joining the organization even through the economic recession. New employees include Mark Ragard, regional sales manager; John Macrena, VP of sales; Al Silva, director of Latin America; and John Cooley, strategic accounts. Microscan also recognized VP of Engineering William R. Riley Jr., who passed away after a battle with cancer, by dedicating the new facility’s conference room in his honor. In the training room, customers and distributors are able to see firsthand the technologies in use. Things like lighting and geometries are difficult to describe over the phone or online, explained Microscan staff, and this East Coast location will enable more in-depth training on new products and applications. In the electro-engineering labs, R&D personnel work with challenging parts marks, such as a data matrix code on clear plastic, miniaturized labels on components, already assembled on a PCB, codes on shiny copper foil, and other applications, such as steel automotive parts, pistol bodies, dental implants, and more. Different markings on different surfaces require different colors and types of light for accurate reading. In the product room, interactive displays demonstrate this point. From simple ring and dome lights, the products advance to mobile scanners that cycle through several lighting options to get the best read on a particular part, visual inspection stations that track fiducials and areas of interest on a PCB, for example, regardless of the product’s rotation when placed under inspection. Microscan will focus on end-user applications in electronics manufacturing, life sciences, and automotive, in the interest of developing products as driven by these markets. In electronics manufacturing, assembly/part verification, robot guidance, and PCB traceability can benefit from machine vision systems and controlling software. Microscan offers product-level readers for barcode/DPM data as well as middleware, such as its Track, Trace, Control (TTC) software co-developed with Cogiscan. This allows users to find where a specific product is, where it has been, and where it should go based on the information collected. Al Silva, director, Latin America for Microscan, noted that electronics manufacturers are adding TTC to satisfy strict quality standards in automotive and military electronics manufacturing, to reduce inventory waste, and to improve beat rates of SMT lines. With data from every step synthesized in a software environment, an assembler can ensure lead-free solder is being used on the correct printer, with the correct PCB, which is then populated by the correct components for the job. Through-hole components, often manually inserted, can be scanned quickly for correct placement and polarity with a go/no-go machine vision system. With 5 or 6 product flow control scans on a line, the user can manage assembly with capital-equipment-independent machine vision. Counterfeit component control was another electronics application, described by Dr. Ludlow, who noted that the more information and detail put into a part marking, the more difficult it is to replicate. UV-light markings can also be used as a non-visible data label, adding more security in the authenticity of parts. This can improve incoming inspection for any electronics manufacturer working in high-reliability sectors. In addition to machine-independent applications, Microscan’s vision systems can be embedded into in-circuit testers (ICT) and functional test (FT) systems, optically verifying presence of components and augmenting the test processes. 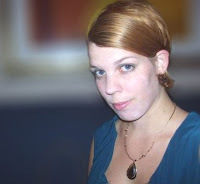 Early in December 2009, I attended Printed Electronics USA 09 sponsored by IDTechEx. Held in the San Jose Convention Center, the printed electronics show was touted by the sponsor as the largest event on the topic in the U.S.
A review of the printed electronics market showed lots of healthy growth statistics. IDTechEx’s CEO, Raghu Das, who unfortunately fainted on the stage as a result of flu, presented impressive numbers for printed electronics in 2010. For example, the market for organic light emitting diodes (OLEDs) will reach $900 million, photovoltaics will reach $400 million, inks will extend to $400 million, sensors come to $120 million, and electronic paper will stand at $100 million this year, according to his figures. Peter Harrop, IDTechExpo chairman, finished up the talk as Das recovered. Some of the leading drivers to supporting high growth in the industry are not low cost so much as form factor, he stated, since flexible substrates fit well in smaller devices. Even with flex substrates and barrier films, though, there are basic challenges such as water and oxygen contamination. Progress continues with E-paper displays, point of purchase displays, organic electroluminescent displays, thin film photovoltaic products, and in other areas. Ken McGuire, principal scientist at Proctor and Gamble, talked about consumer electronics applications and why printed electronics is important to P&G. As an $80 billon consumer products company, P&G looks for ways to differentiate their products from others on the shelf. Before considering printed electronics as one of these methods, each must be evaluated for low cost, rugged survivability though the delivery chain, eco-friendliness, and usefulness. I had to imagine what that might look like — a large, orange container of Tide glowing, blinking, or somehow acquiring a printed-electronics-driven advantage on the shelf at the local Kroger store here in Cincinnati. McGuire invited the audience to discuss how P&G could use printed electronics creatively as a marketing tool, and the response was enthusiastic. It was a really exciting show that brought back the foment and creativity that the SMT industry saw in the 1980s. Approximately 900 attendees, representing more than 25% growth from the previous year, enjoyed the Printed Electronics USA show this year. There were 85 exhibitors, 100 speakers, 8 tutorials, a tour at Applied Materials and a demo at Kovio’s plant. Some exhibitors brought new product introductions to the floor, such as Novacentrix’s PulseForge 3100, which is effective with widely used print methods including inkjet, flexo, gravure, aerosol, and screen printing. Fujifilm Dimatix won the show’s commercialization award for its inkjet printer platform, DMP-2800. So far 450 of these printers have been sold worldwide for printed electronics.